It’s that time again… Pizza! Haha! This is funny. A bit to funny and a bit scary too! If I just had waited seven more days, it would have been exactly one year since I made a similar post. 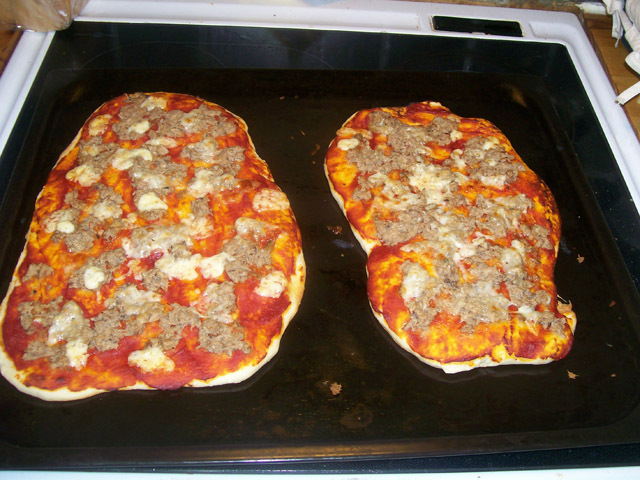 The post I made then was about food I had made, I made pizza. Not that its anything special, but it was the first time I really made some. And it turned out really good and I was on baking mood today so I decided to make my own pizza again! This time around it didn’t turn out just as good. Stupid as I was I forgot to check so we had everything at home that I needed. I should have checked for cheese since that was almost empty. The first failure, still got it to work with the minimum cheese we had left. Next time I’m masking sure we have shredded cheese at home. 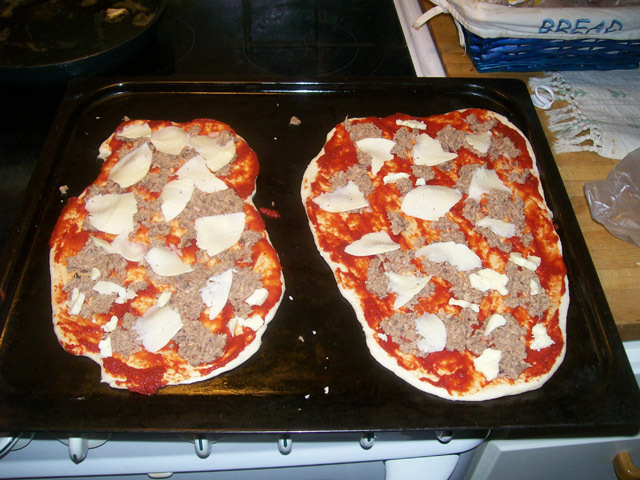 They hadn’t put to much work in stretching the dough out as much as I should have, so some parts of the pizza got really big. Which I don’t like. So there was failure number two. Well it still turned out good and tasted good. I used tuna-fish this time. While its not as good as kebab, but still pretty good. Next time I’m checking that I have all ingredients that I want at home, then I’m gonna but more time into the dough. I was just sloppy today. And for that I also payed the price with my pizzas. 3 responses on It’s that time again… Pizza! Yes this was a fun and interesting post! Så en liten deja vu? Hehe, trevligt. Ser väldigt gott ut. Hemmalagad pizza slår nästan allt.